Iris Apfel has been a style guru her entire life, starting at the young age of 11 when she purchased her first piece of jewelry. 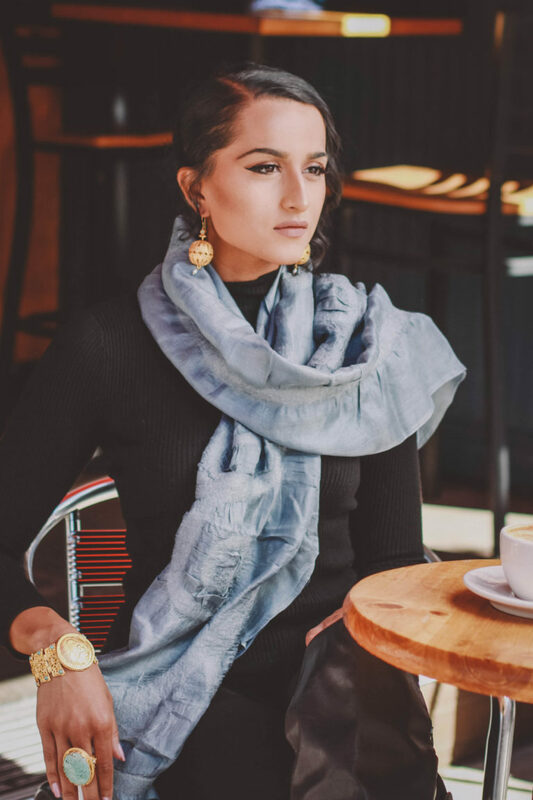 Growing up to be an admired interior designer and running the successful textile firm, Old World Weavers, Apfel had the privilege of traveling the world in search of new fabrics and designing pieces for nine presidents. Her love of truly unique clothing, fabrics, and accessories allowed her to become one of the most original and well known designers and pioneers of fashion – a true style icon. 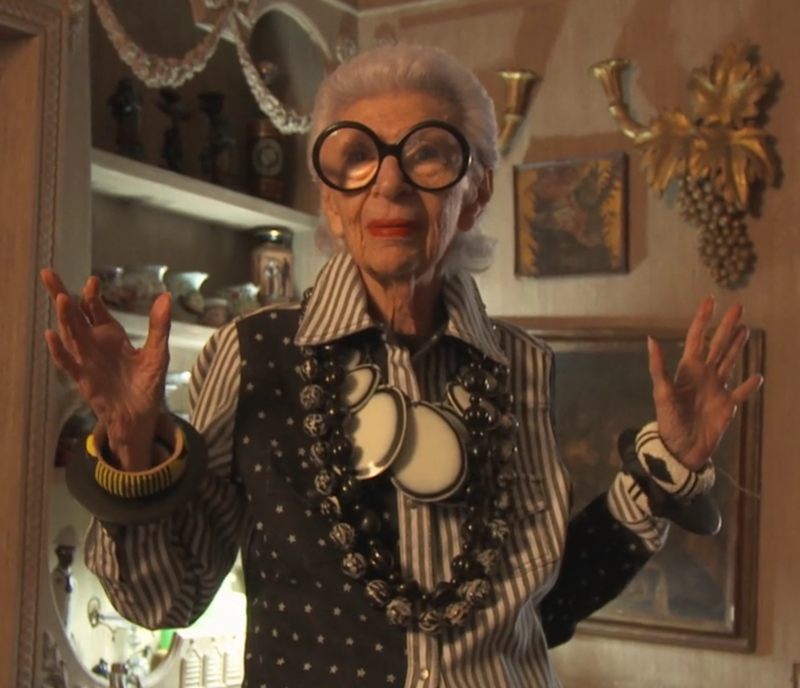 Iris Apfel in the documentary, Iris. At Gypsy, we have always admired Iris Apfel’s commitment to individuality. In Iris, a documentary about her life and style, she talks about her process when creating a look: “It just has to feel right to me. Every time I do it, I do it a different way. I like individuality… it’s just so lost these days.” She explains that when it comes to creating an outfit or styling her jewelry, she has no rules and loves to improvise. And I think that’s brilliant. The Gypsy Spirit has always meant the freedom to be different and be yourself… to have no rules or guidelines when it comes to expressing yourself, and that is how Iris has always lived. 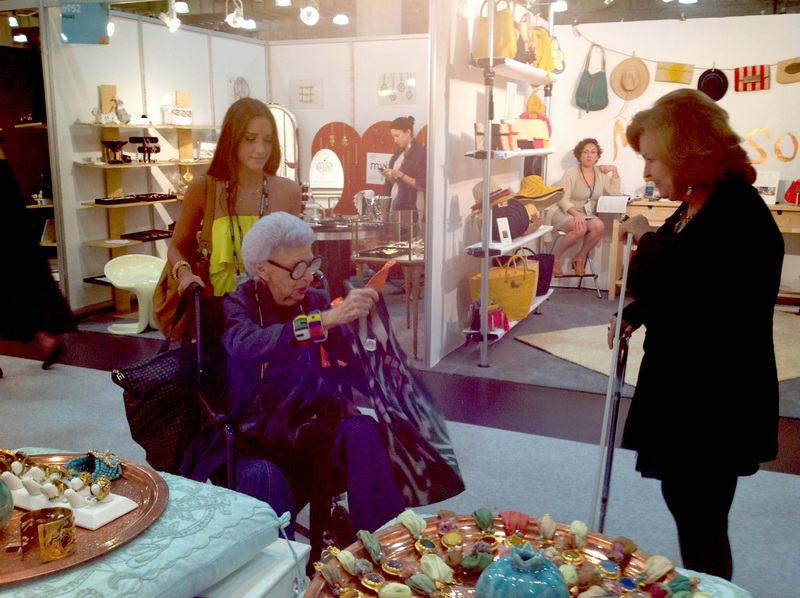 A few years ago, Gypsy Founder Jeannette Simon was lucky enough to meet Iris, as she visited Gypsy’s booth at the NY Now trade show. Two lovers of travel and creators of original style, we can’t help but think their meeting was meant to be. So in the style of Iris Apfel, remember that there are no rules when it comes to fashion. Follow your gut, have fun with it, and keep being you… because no one can do it better.